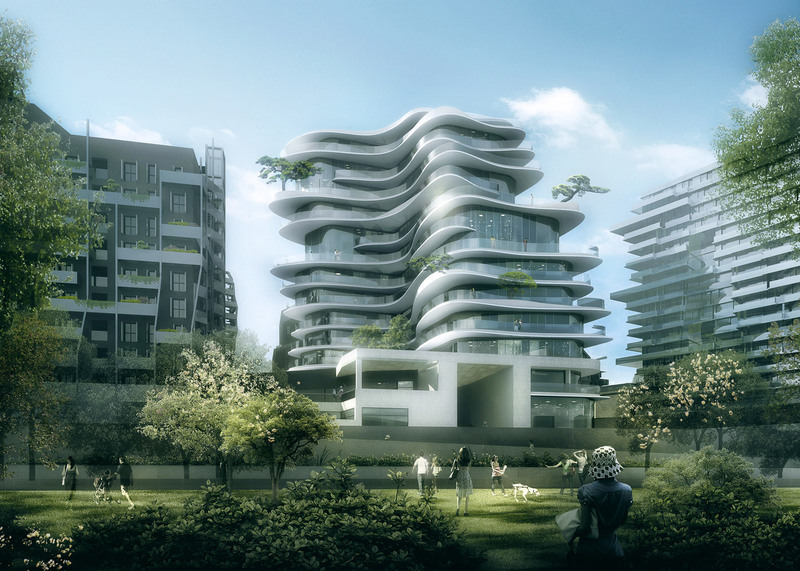 Beijing studio MAD has revealed plans for a Parisian housing block surrounded by undulating balconies, which is set to become the firm's first residential project in Europe (+ slideshow). 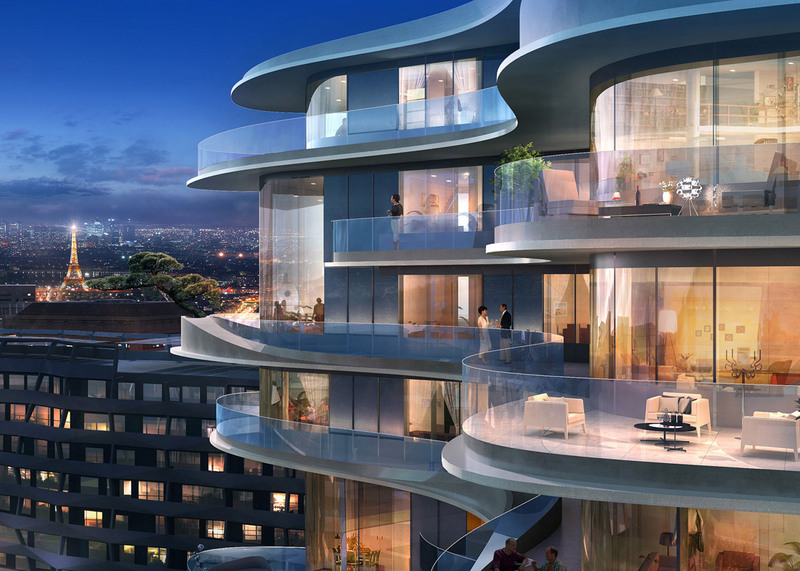 Called UNIC, the 50-metre-tall block will feature floorplates with undulating edges and glazed walls to give residents views of the Paris skyline. MAD won an international design competition for the scheme, which it worked on in collaboration with local practice Accueil-Biecher Architectes. 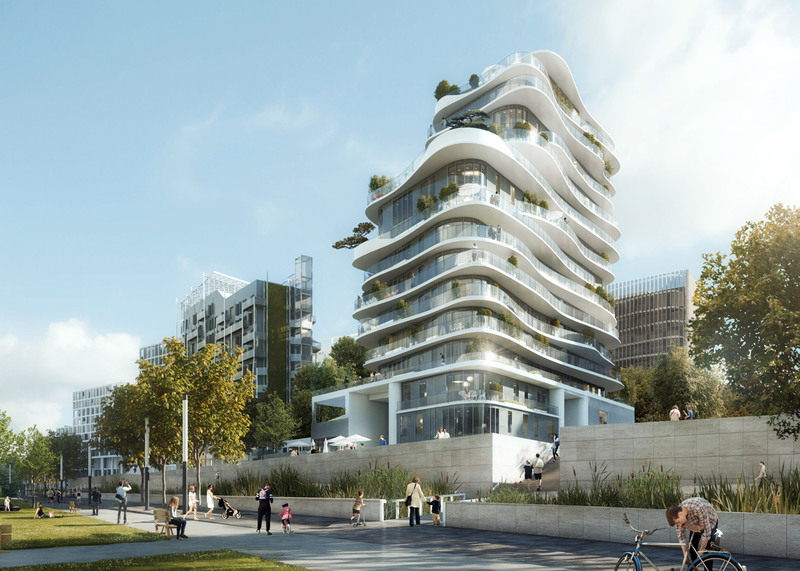 UNIC will be located in the developing Clichy-Batignolles neighbourhood, beside the Martin Luther King Park and Renzo Piano's yet-to-be-completed courthouse. 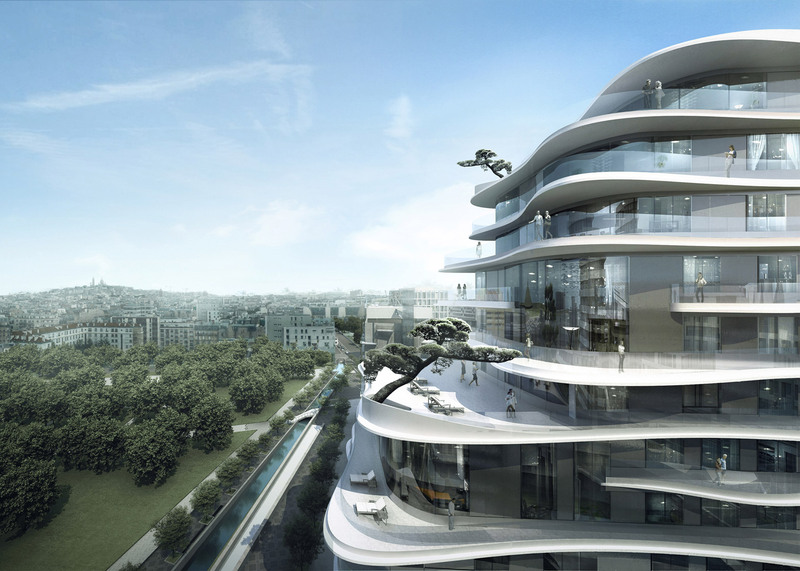 "UNIC is a creative and iconic residential project united with the community," said MAD's founder Ma Yansong. The tower's asymmetric floors decrease in scale towards its summit, offering a range of secluded and public balconies and creating a stepped outline – not dissimilar to the firm's earlier Urban Garden proposal for the city of Chongqing in China. "The floating and upward-growing form responds to an organic scheme," said MAD. "Representing stacked courtyards, the distance between human and nature is collapsed." 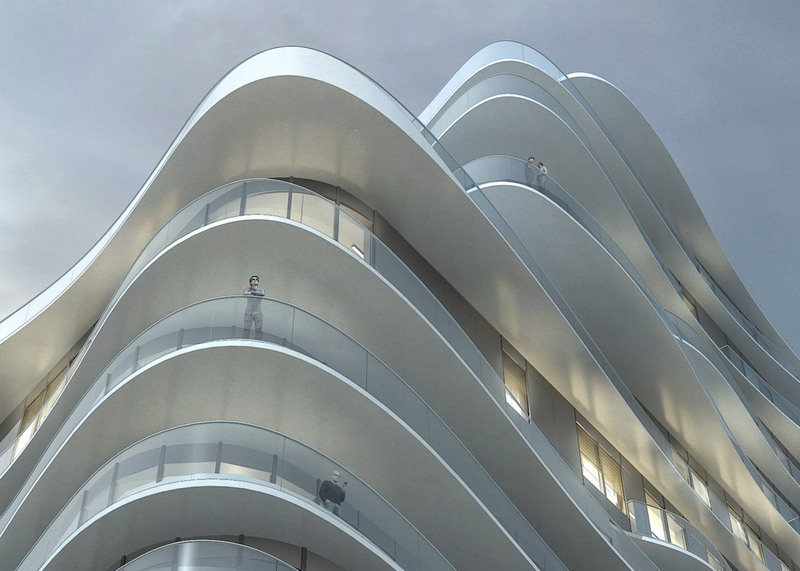 The building's curvilinear podium will be joined to a neighbouring public housing scheme. It will provide access to a new stretch of the Paris Métro, as well as a kindergarten, shops and restaurants. "The resulting design enhances everyday community relations among a diverse socio-economic neighbourhood," said the studio. Sinuous forms are characteristic of MAD's architecture and design. The firm's Harbin opera house features an undulating form that wraps two concert halls and a plaza – recently photographed in snowy weather by Iwan Baan – and the studio has also applied its distinctive style to a curvaceous door handle. The UNIC scheme is expected to complete in 2018.